White Stuff'a Celia cardi is the perfect layer. This edge-to-edge knit is cut longline for extra coverage and has 2 ribbed patch pockets. The hem, cuffs and sides feature the same weave too making it super tactile. 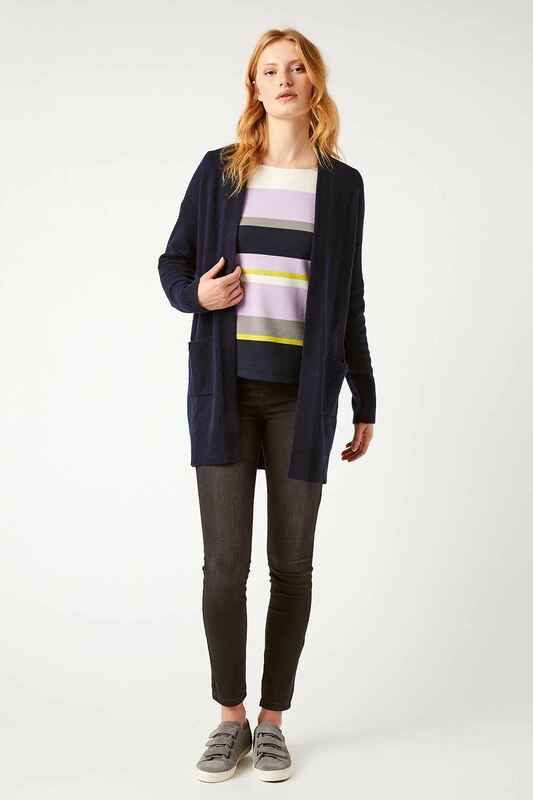 White Stuff'a Celia cardi is the perfect layer. This edge-to-edge knit is cut longline for extra coverage and has 2 ribbed patch pockets. The hem, cuffs and sides feature the same weave too making it super tactile. Loads of style without the fuss, it’s a wear with anything basic you’ll love.